If there’s one constant in mine and Vishnu’s ever changing lives, it’s breakfast. And not just any breakfast. Almost every morning for the past few years, we wake up, brush our teeth, and make THE shake. Now that I think about it, I’m not sure why I haven’t shared the recipe on MIS until now. Sorry about that! As strange as it probably sounds, this shake is everything to us. It’s delicious, satisfying, healthy, and the only way we know how to start our day. I’ve actually been making some variation of this shake for the past 4-5 years…before Vishnu and I got married. And with his help, I think we’ve perfected the recipe. In fact, I know we have because everyone who tries our version asks for the recipe and/or asks me to make it when they visit (both mine and Vishnu’s families love this stuff!). During Aekta and Adarsh’s engagement weekend, his parents tried my concoction and made me promise to email the recipe with links to all the necessary ingredients. Ha! You’ll just have to take the fam’s word for it and make it yourself! Trust me, you’ll wake up thinking about breakfast and this delicious shake! Oh and don’t be scared by the spinach. 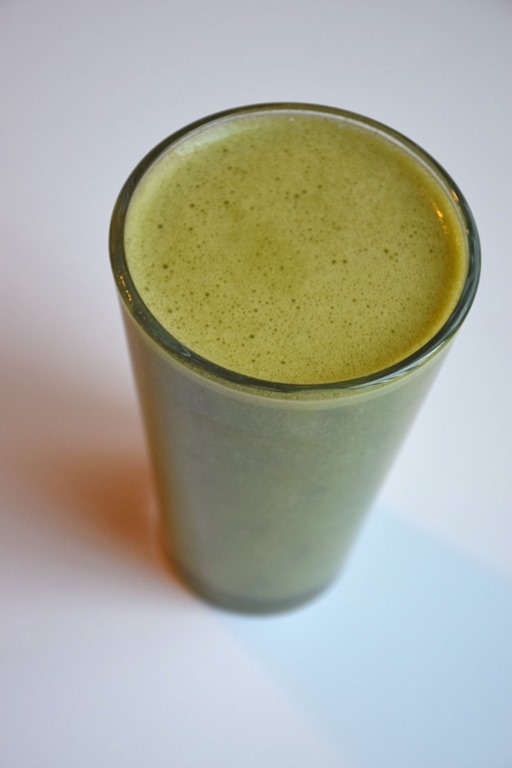 Not only does it add extra nutrients, but it also makes the shake a beautiful green color…don’t skip the spinach! 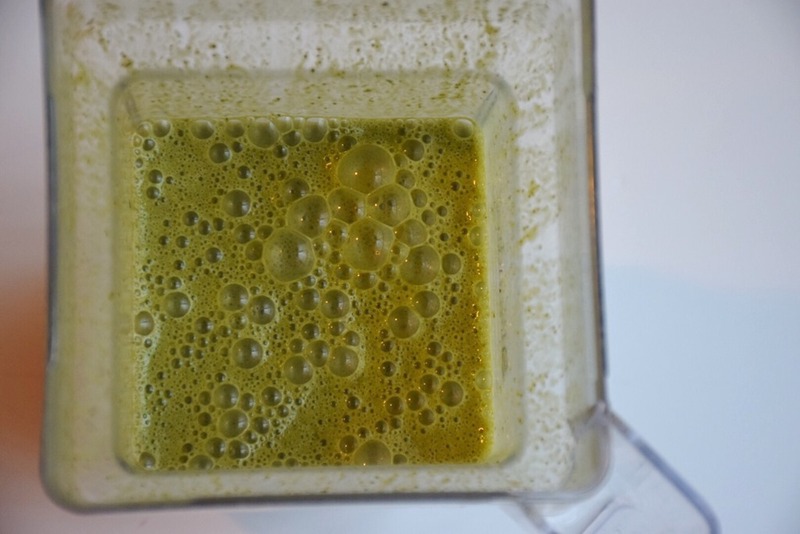 Add ingredients (in the order listed above) to a high powered blender and blend until completely combined. *We like the taste and texture of Sunwarrior Vanilla protein powder, but feel free to use your favorite kind. **If you don’t have frozen bananas on hand, feel free to throw in 1/2 cup of ice cubes. Side note: A lot of people ask what kind of blender we have. 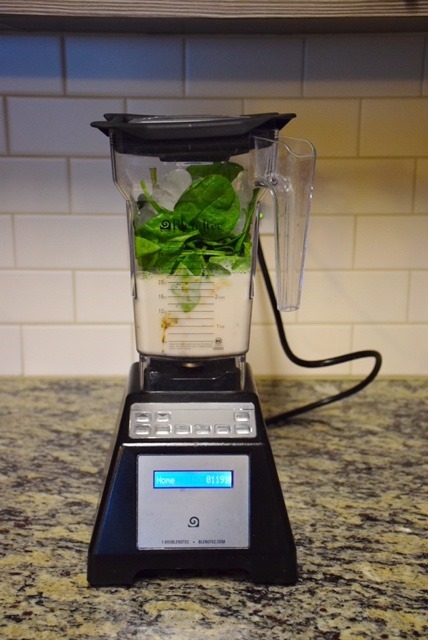 We were gifted a Blendtec a few Christmases ago, and it is by far our favorite and most used appliance. Simply put, it’s amazing. I know it’s expensive and quite the investment, but it does so much more than make shakes (soups, sauces, ice cream, brownie batter, etc.). I can’t even begin to explain how well it blends everything. I use mine at least twice a day. My next Blendtec investment will likely be the Twister Jar. I haven’t quite been able to sell Vishnu on this, but I’m working on it! No portion of this post is sponsored. However, there are a few Amazon affiliate links included. There is no extra cost to you, but I do receive a small commission on anything you buy through my link. Thank you for reading and supporting My Inner Shakti! i spy some sunwarrior protein powder – i recently got some and absolutely loved it. i have to definitely try this recipe! Yum this looks right up my alley! Have you tried the chocolate Sunwarrior? I thought the vanilla was good but that’s a whole other ball game! So we used to get the chocolate Sunwarrior but tried the vanilla at my parents’ house and liked that better! But you really can’t go wrong with either. This looks so yummy! 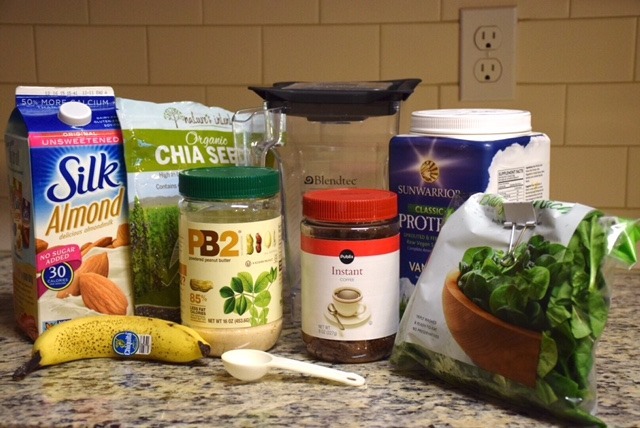 I use to make smoothies all the time and somehow well off that band wagon… but I’ll have to give this one a try. I love coffee smoothies! The more the better when it comes to caffeine these days. Thank you! Thank you so much for sharing. I never knew coffee could be added to shakes. I have been trying to do this health thing and drink shakes in AM. This will combine my love coffee and my attempt at being healthier. Thanks! I will surely prepare this recipe for my coffee lover husnand. I want him to gain some weight too.